I have been transitioning the past three weeks. I recently moved from Ottawa to Toronto to take a position in Queens Park with the Ontario PC Party. It has been a whirlwind three weeks that included a trip back to Ottawa for a weekend. Within three weeks there has been a Constituency week followed by two weeks of bills being passed in anticipation of the House adjourning for the summer. On Thursday of this week the House adjourned and will come back in to session on September 14th. 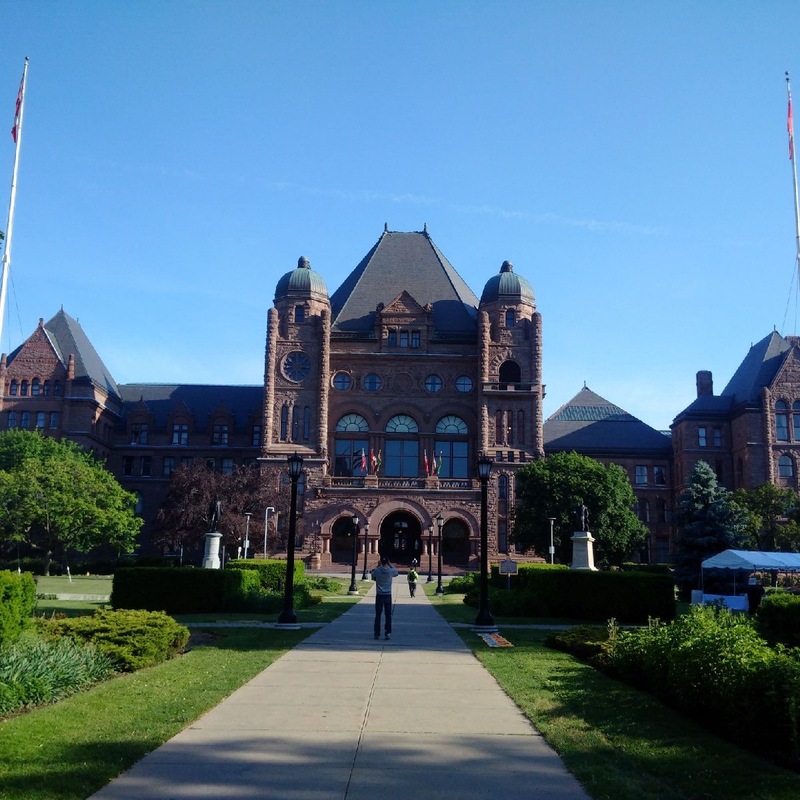 I am now living the dream, or at least 75% of it – working in Ontario’s legislature. The dream is worth the move to Toronto, the home of the Blue Jays and Argos. I don’t mention the Leafs, but anticipate the onslaught of #TMLTalk (Toronto Maple Leafs Talk for those living outside the dome) will drive me crazy! For the past three weeks it’s been a learning curve of procedures, legislative processes, committee hearings, bills and media scrums. I’ve been sitting in the House during question period and was in the House when our Lt-Gov., the Honourable Elizabeth Dowdeswell gave Royal Assent to the bills passed in the last two weeks before we adjourned for the summer. It’s a privilege for me to be there, one I will not take for granted. What an amazing three weeks! It’s really been three weeks? That was fast! Fast BUT fun! I can’t thank the Ontario PC MPP’s, Staff and Patrick Brown for the warm and supporting welcome I have received. I also need to mention a couple other Ottawans in Queens Park for helping out in the transitioning. I have run into Martin Canning, who I met years ago and have worked with as part of the Centretown Citizens Community Association, in the halls of the Legislature and we’ve had some good talks. Yasir Naqvi, with whom I had a good relationship in and out of campaigns in Ottawa Centre, is always quick to ask how things going, and not always about the politics. Heck, I even got a “hey it’s Rob Dekker” from Mayor Jim Watson in Queens Park for “Ottawa Day” in my second week on the job! Now that the House has adjourned and most everyone is gone back to his or her home ridings for the summer I look forward to research, working on Bills that have been introduced this week. I anticipate a few work trips, including the International Plowing Matches taking place in Eastern Ontario this September and the Association of Municipalities of Ontario in Niagara Falls in August. I could not have made this move without the support of Liz, my kids, and my family in Toronto and Burlington. For now Toronto is base camp, but Ottawa will always be home. As for the other 25% of living ‘the Dream’? That will come in 2018 and when I am elected to serve as an MPP in Queens Park. This entry was posted in Queens park and tagged Ottawa, Queens Park, Toronto on June 6, 2015 by redheartbluesign.